The Unique Signed Sports Memorabilia Store: World Cup Rugby star Natasha Brennan signed England women's hockey foam finger. World Cup Rugby star Natasha Brennan signed England women's hockey foam finger. 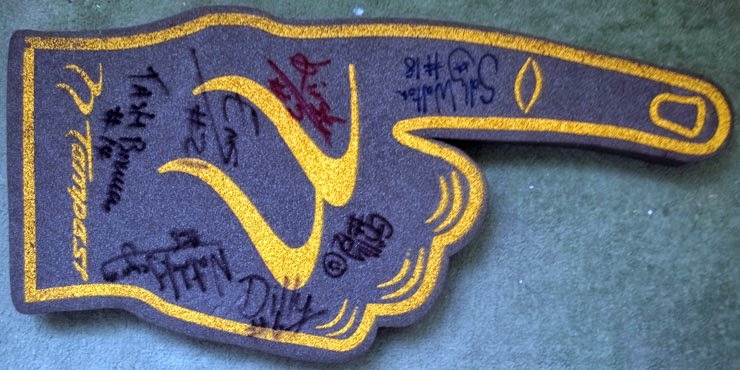 England women's hockey team signed foam finger. please leave any suggestions in the comments box below - many thanks. Need the info for a charitable cause! !